From the frantic arcade racing of Sega’s Super Hang-On to the methodical simulation of Polyphony Digital’s Tourist Trophy, motorcycles have always held an allure for me as an elegant intersection of speed, danger, and finesse. 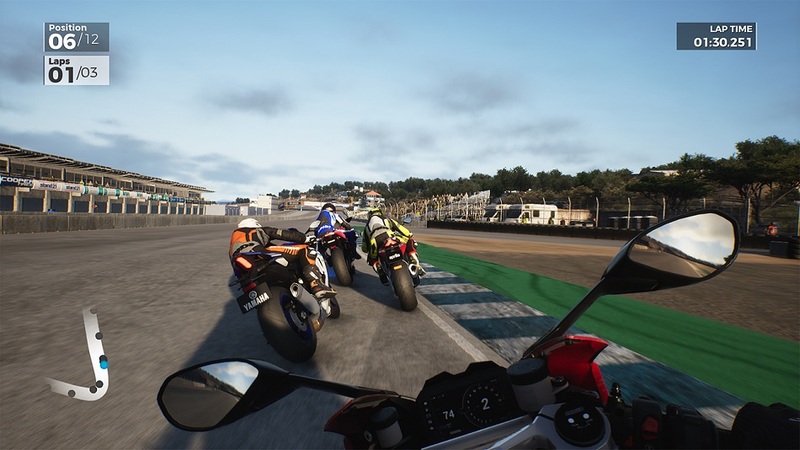 For Milestone, the Italian developer that has overseen the MotoGP and MXGP franchises over the years, they also represent a long history of racing game development that’s culminated in the release of Ride 3. Milestone would like for Ride 3 to earn comparisons to Forza or Gran Turismo as a sweeping exploration of its sport, but it doesn’t always take the fastest line around the track. 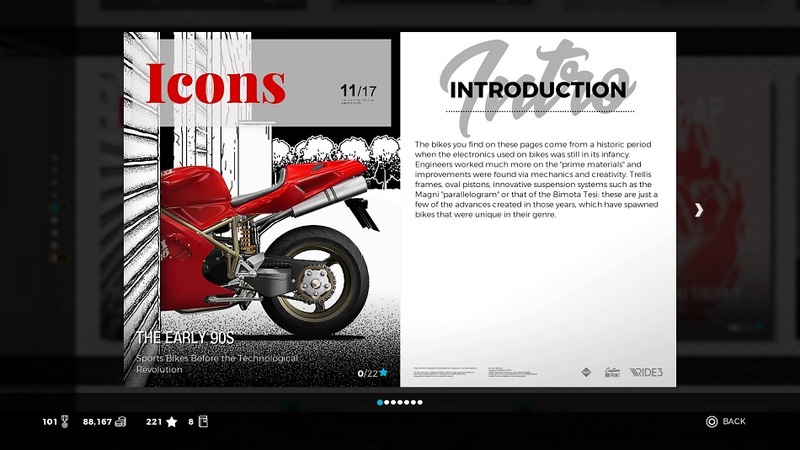 The centerpiece of Ride 3 is a career mode that employs a unique premise of fictional racing magazines, each of which feature different types of races and bike classifications within. At its best, this collection of fictional publications can project a sense of culture surrounding these lean machines, sparking a sense of history or imagination. At its worst, it feels like an avalanche of jargon where trellis frames, oval pistons and the evolution of two-stroke and four-stroke engines serve as silver chrome scripture for a gearhead Silmarillion. What further damages the career mode is the realization that the trek through these volumes is poorly paced – players must not only complete, but win every race within a magazine to unlock a new motorcycle, and these races are often incredibly taxing. 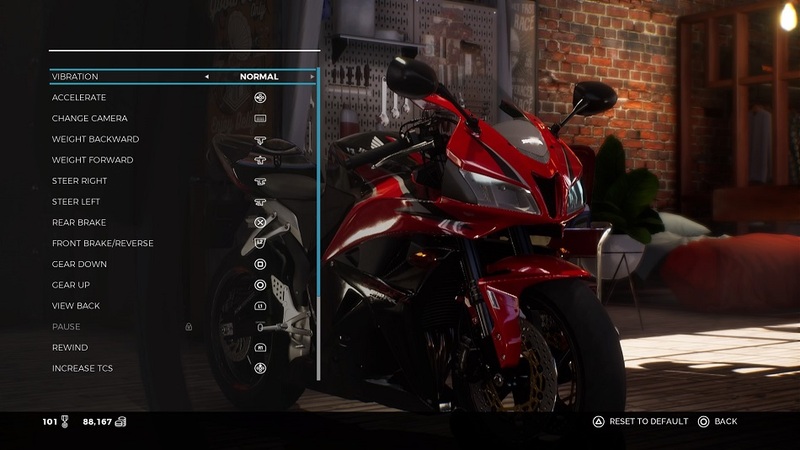 Even turning down the difficulty won’t save players from time trial challenges that typically require an immaculately configured motorcycle for any chance of success, the pursuit of which leads to grinding through more winnable races to build up cash for upgrades. Unfortunately, the speed of content unlocks is glacial, with some later races inexplicably unlocking bikes for earlier races in different classifications, so the need to expand and upgrade the collection of available bikes becomes critical for making long-term progress. These structural shortcomings are unfortunate because the racing in Ride 3 is solid. The track design expertly renders some of the most notable raceways in the world, from the infamous corkscrew at California’s Laguna Seca to legendary European locations like Cadwell Park, Lake Garda and the Nürburgring. The various camera angles to navigate these spaces are usually effective, though hairpin turns tend to present sightline problems for all of them – the arcade-style third-person views are good default options, though more advanced players will likely rely on the first-person “handlebar” camera to get a better feel for trickier racing lines. Once the proverbial flag drops, Ride 3impressively models many of the idiosyncrasies of motorcycle racing with a satisfying sense of speed, even at a locked thirty frames per second. (The PS4 Pro and Xbox One X do have access to a 60fps mode as well.) 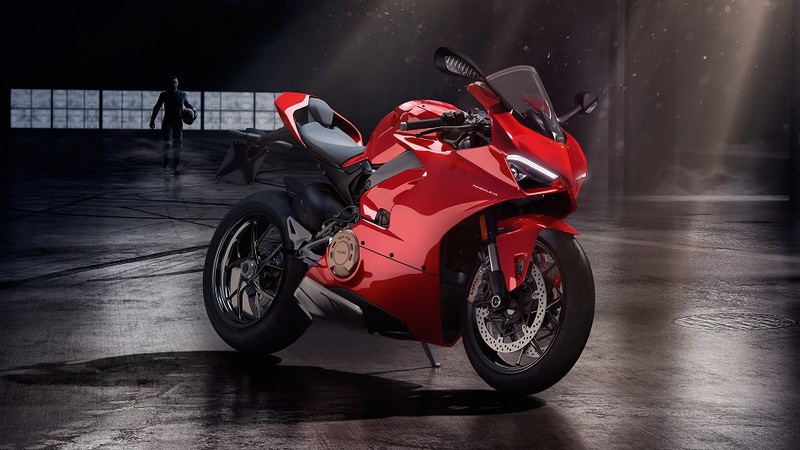 The smooth, sweeping racing lines of a car become slender, katana-like slices around curves on a superbike and the mastery of braking technique – and the intricate timing of trailbraking, in particular – becomes the most direct pathway to success on the track. The physics engine is surprisingly forgiving of contact with other racers, but any other awkward shifts in momentum come with consequences. Leaning too deep over a surface with poor traction or turning too sharply through a hairpin curve without any speed will reliably lead to disaster. Though the mechanics are generally more focused on simulation, they are leavened by the presence of a rewind function which allows the player to go back to a previous moment in the race and resume their progress from there. While an increasing number of modern racers share this mechanic, Ride 3 stands out, for better or worse, by allowing the player to rewind a surprisingly large amount of progress on any given race with virtually no penalty. Providing such a generous amount of rewind is a design decision that seems forgiving and accessible at first glance, but it can also encourage regressive play for impatient players that are discouraged by the campaign’s overall difficulty. 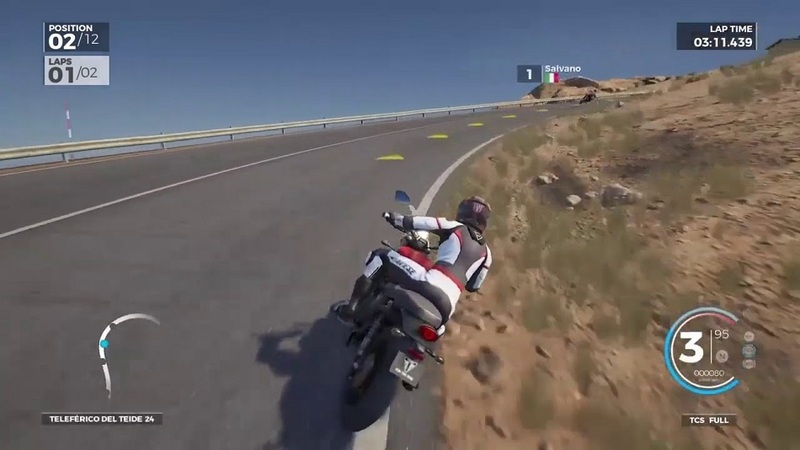 When this rewind mechanic is paired with an optional racing line which dynamically highlights the best path and speed to take through a given curve, it becomes easy to fall into a rut of trial and error that draws the player’s focus solely to the racing line instead of reading the track. Of course, it might not be as tempting to rely on brute-force-by-rewind if the tutorials were effective in teaching the basics, but many of these introductory races feel outright broken at times. Many quirks and technical issues take center stage here, as lengthy loading times — complete with a multi-page treatise describing the history of the motorcycle selected for the race – feel like they can take longer than the actual tutorial on the track, leading to a disjointed introduction. Disclosures: This game is developed and published by Milestone S.r.l. It is currently available on PS4, XBO and PC. This copy of the game was obtained via publisher and reviewed on the PS4. Approximately 40 hours of play were devoted to the single-player mode, and the game was not completed, along with 1 hour of local multiplayer. Parents: According to the ESRB, this game is rated E. The ESRB description states that this is a motorcycle racing game in which players can race customizable bikes around a variety of international tracks/events. Players can participate in several game modes including Championship, Team Race, and Head to Head. Remappable Controls: Yes, this game’s controls are fully remappable. 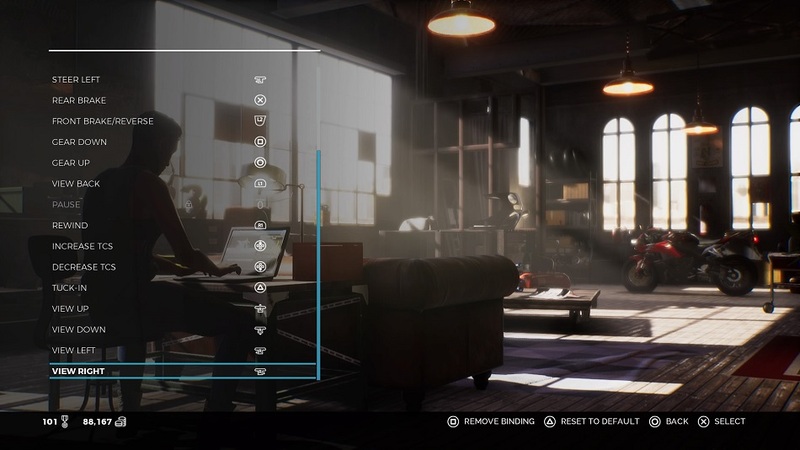 Here are the screenshots from the options page that indicates the default controls, as well as what actions can be mapped. Road Rash and Road Redemption are only two of most enjoyable motorcycle-racing games. There have been no news of any promising games of this genre lately. I’ve lost interest in bike games. But then, I was just thinking to myself when another motorcycle-racing game would come around. Ride 3 might just get me back on track.